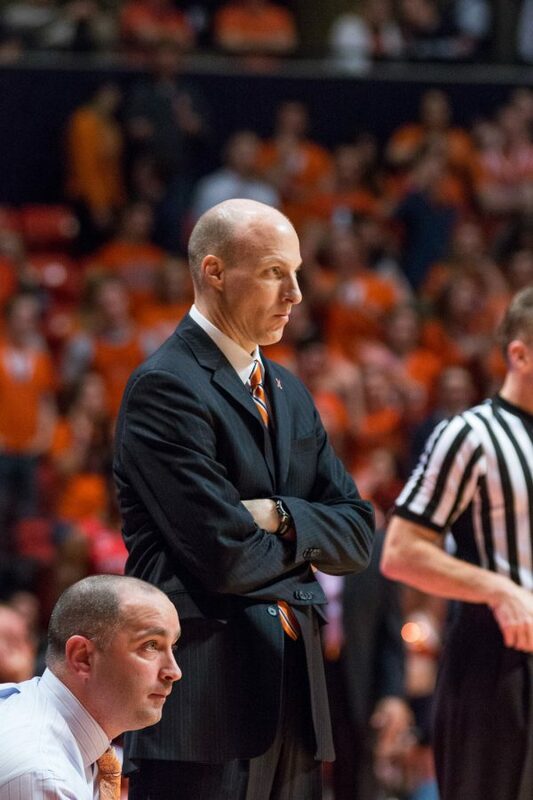 llinois men’s basketball’s next game could decide the fate of head coach John Groce. 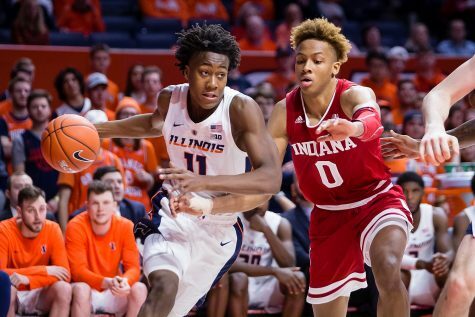 The Illini are coming off one of the worst November weeks imaginable, dropping games to Winthrop, West Virginia and Florida State, respectively. The team looked like it would be 5-0 heading into a challenging West Virginia team on Thanksgiving after a win over Winthrop on Monday night at home. 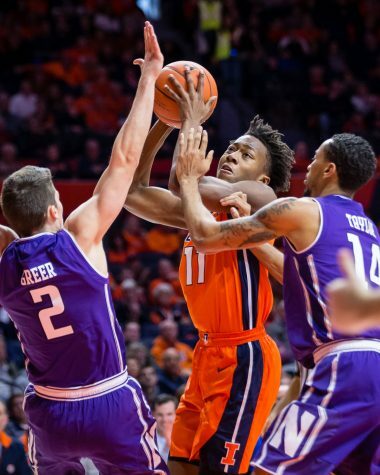 The Illini were up 10 points with less than three minutes to go against the Eagles and failed to score another basket in regulation. Winthrop’s Keon Johnson helped the Eagles force overtime and eventually win with 38 points of his own. 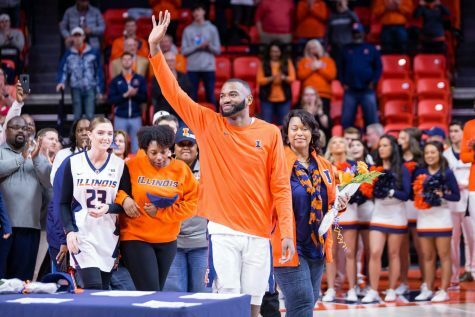 Johnson’s inspiring performance should be no excuse for an experienced Illinois squad that had its two starting big men combined for eight rebounds. 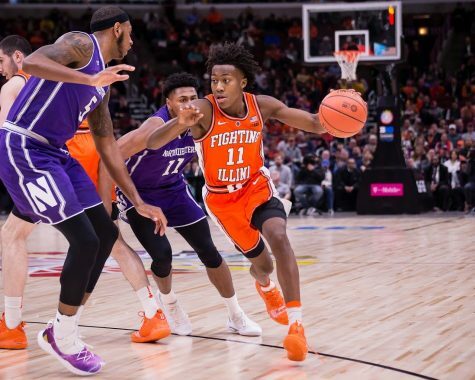 The team had a chance to redeem itself on Thanksgiving against a talented West Virginia squad, but the Illinois’ players came out flat and unprepared. 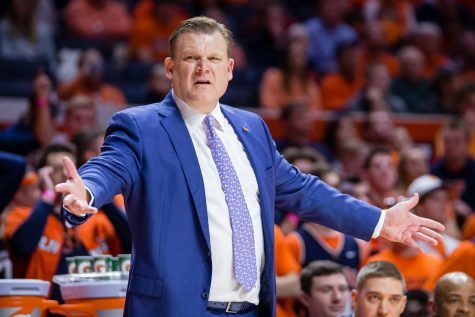 Bob Huggins’ full-court press is notoriously difficult to attack, but the Illini looked like a seventh-grade team trying to break it. Huggins seemed disinterested on the bench, knowing there was a good chance his team would force a turnover on any given Illinois possession. 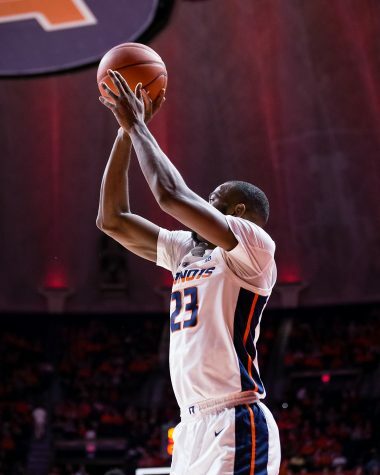 The Illini turned the ball over 24 times and were never in the game. Point guard Tracy Abrams was visibly frustrated with the team’s performance, and he should be. 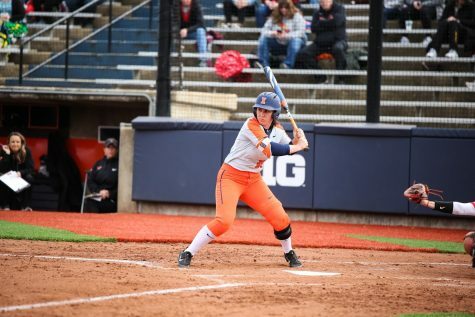 The West Virginia game showed that this Illinois team is nowhere close to competing with powerhouses in the Big Ten. But the team will still need to grab some of those victories to make up for the horrid Winthrop loss. 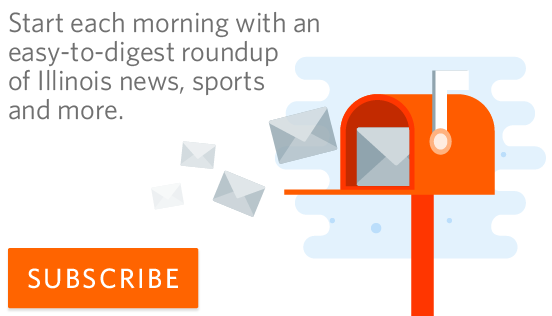 Even when Illinois played its best game of the week against Florida State, the team ended up losing by 11 points. 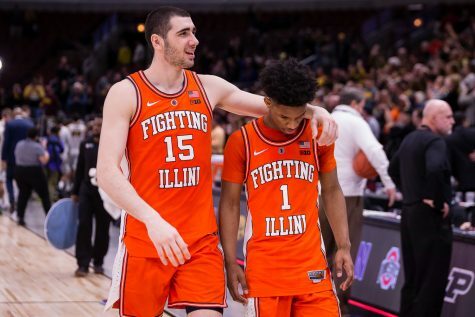 Groce should maybe listen to D.J. 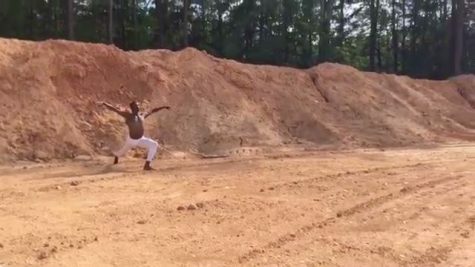 Williams’ mother and give him and Aaron Jordan more minutes. Williams’ mother took to Twitter to say that Williams should be in somebody’s rotation, but she later removed the tweet. 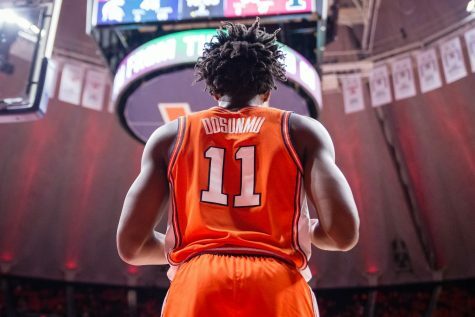 Fixing an entire team is no easy task, but giving more playing time to Te’Jon Lucas or Leron Black can help. For the Illini’s trip to Brooklyn for the NIT Tip-Off Challenge, it only got worse. The teams were by no means supposed to be guaranteed wins. They were the chance for Groce to showcase his teams can stay competitive against top competition. Unfortunately, the teams had a poor showing in the Big Apple and served as a power conference warm-up before the real college basketball season starts. 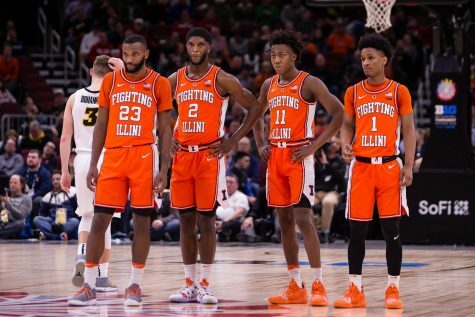 The Illini look out of synch and the recent losses may come back to hurt Illinois’ chances of a tournament bid in March. 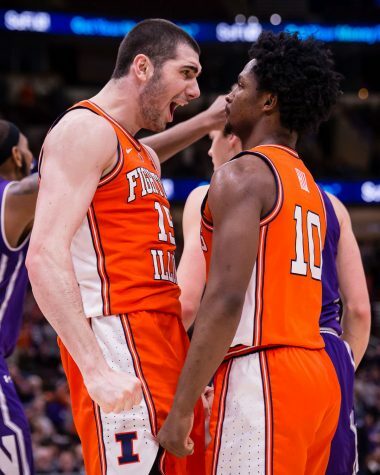 If Groce is to keep his job, the Illini need a serious 180 from the previous week.